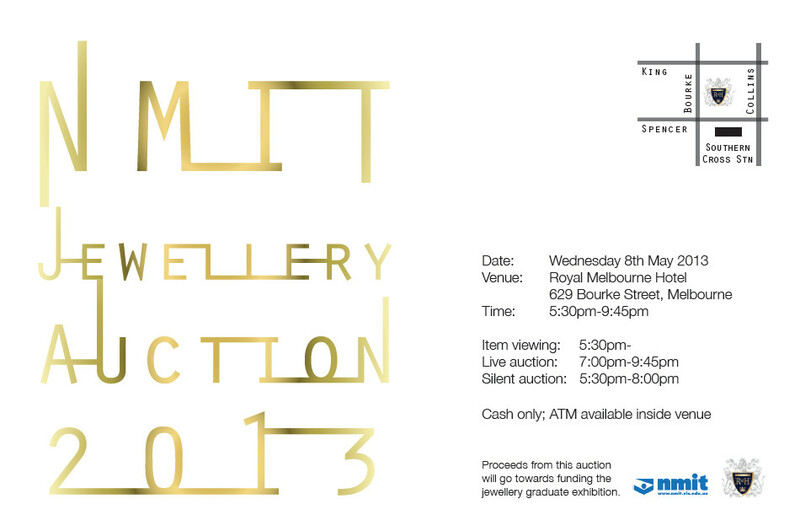 The 2013 NMIT Jewellery Auction is coming up! 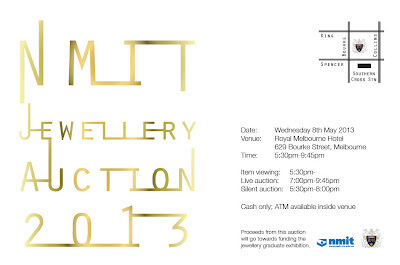 Wednesday 8 May at the Royal Melbourne Hotel (629 Bourke St, Melbourne) the Advanced Diploma of Jewellery students at NMIT will auction off over 50 works by students, teachers and professional artists. Viewing starts at 5:30pm with the live auction kicking off at 7pm. There will also be a silent auction with bidding from 5:30-8pm. All proceeds from the auction go towards funding the 2013 graduate exhibition. More information and previews of the work will be up on the NMIT Jewellery Facebook page soon.